Home Tags Posts tagged with "i am a singer"
After 12 gruelling episodes, Season 5 of Singer 2017 has finally arrived at the last episode, the Grand Finals. In this round, singers can invite anyone they want to sing a duet on the popular reality show. Some of the guests for the most important episode include Mandopop diva A-Mei from Taiwan, classical singer Hayley Westenra from New Zealand and even popular comedian Yue Yunpeng from China. The score from the duet will be combined with the singer’s solo round performance in episode 12 before the grand champion for Singer 2017 is crowned. Zhang Jie opened for the fourth consecutive time on Singer 2017 and this time it is with a talented 9-year-old girl Liu Runtong (刘润潼). 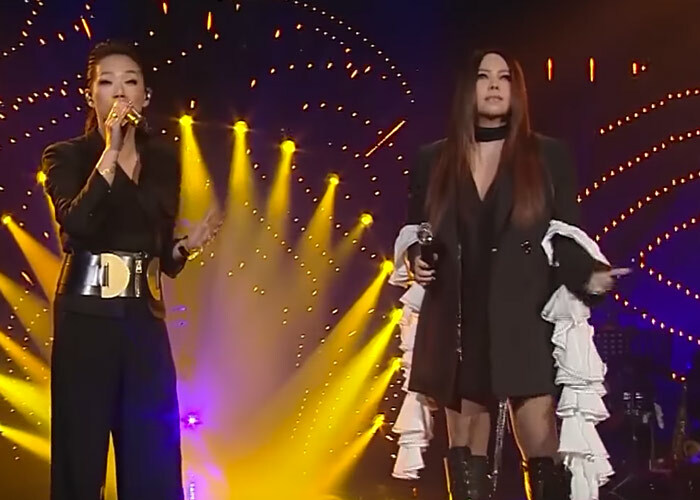 Singing “You Raise Me Up”, their calm and composed rendition were a stark contrast to Zhang Jie’s high-octane hip hop solo opener on the last episode. 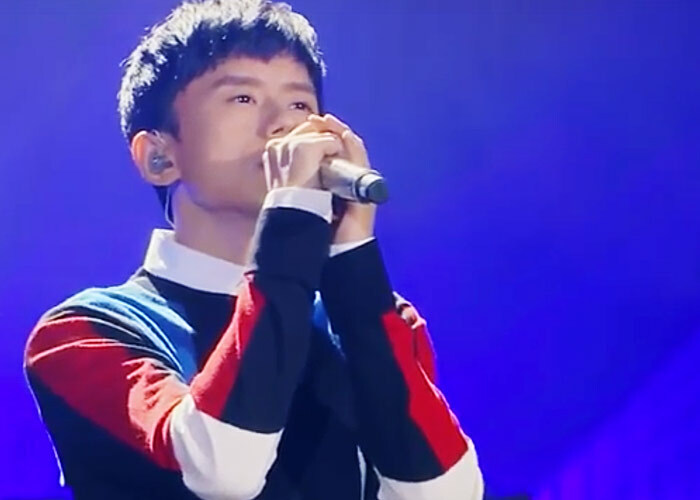 For us, it seems like an apt final song for Zhang Jie and sending a message that he is not just a singer with techniques and vocal ranges. Lion, on the other hand, compressed an entire show and crammed them into a single song for their final show. They invited Vanness Wu to be the modern dance dancer and Lala Hsu to be their backup and duet vocals for “Faded”. For us, there was simply too much going on and Jam Hsiao seems to struggle on some parts of the song. Although we didn’t feel much for their performance, it was certainly rousing and fun to watch. We were a bit worried with Terry Lin for selecting Andrea Bocelli and Celine Dion duet “The Prayer”. Firstly, it’s a very difficult song and secondly, it’s in two languages–English and Italian–that are not native to Terry. But thanks to his partner, New Zealand singer Hayley Westenra with an angelic voice, Terry pulled the song off and quite successfully too. Dimash certainly surprised us once again by choosing Shang Wenjie as her partner in the final round. What was even more unexpected was their medley of songs dedicated to the late Michael Jackson, a common idol they shared. In the short 5 minutes, Dimash danced, sang and even played the drums before ending the medley on his knees one last time with “Earth Song”. To wrap it all up were two vocal powerhouses, Sandy Lam and A-Mei who sang a vocally demanding “也许明天”. Sandy has impressed us throughout the entire competition, showing us her versatility in music styles, her vocal capabilities and her consistency. Her final duet with A-Mei further highlighted her humility and her grace and made us huge fans. In the end, it was Sandy who took the bacon home, winning the Grand Champion title for Season 5 of Singer 2017. After battling for 11 episodes, singers on the popular reality show, Singer 2017, enter the semi-finals round. To win the final Champion title on season 5 of Singer 2017, singers have to perform 2 rounds – a solo round and a duet round in the Grand Finals. In the Grand Finals, singers get to invite a guest singer to join them on their performance. The aggregate scores from both rounds will be used to determine the grand champion of Singer 2017. Zhang Jie gave an impressive opening with an edgy version of 我的王国 by pop idol 李宇春. Showcasing his versatility in style, vocal range and showmanship, he brought house down by fusing Queen’s We Will Rock You into the track as well. Then there’s the Whitney Houston possessed Julia Peng with a big afro and 90s disco outfit. Although she covered the song well, she just didn’t connect and those awkward dance moves certainly aren’t helping. In stark contrast to Julia was her idol Sandy Lam. Dancing throughout her Leslie Cheung medley, she looked so confident and exude a sense of sophistication with her suit. 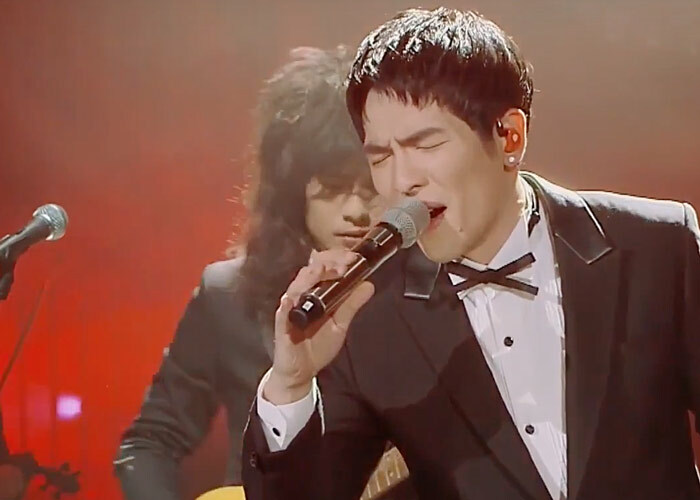 Lion’s cover of the ballad by Wang Leehom “Forever Love” in our opinion didn’t do the song justice. The fusing of the rock band with piano, brass band and Jam’s vocals simply didn’t click, unlike the solid band that performed with Ray Tia. Just when you thought the band got their act together, they fell apart once again. Singer 2017 Episode 11 is the ‘breakout round’ of every season. This is the last round of the competition before the Grand Finals that previously eliminated singers fight for a chance to get back into the game. Whether it’s the veteran singers like Teresa Carpio and Michael Wang or newcomers like Zhang Bicheng and Liang Bo, they are all bringing some of their best woks onto the stage of Singer 2017 to vie for the last 7 spots of the Grand Finals. 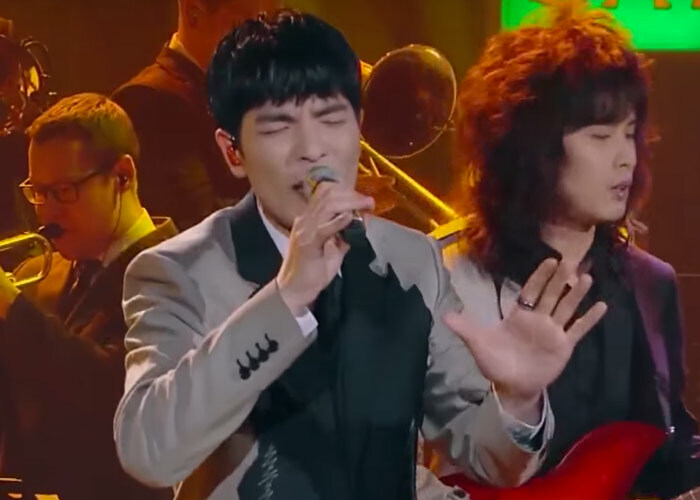 The two most consistent singers on the show had to be Li Jian and Terry Lin. Both appeared in previous seasons of I Am A Singer and both are favourites of many in the audience. 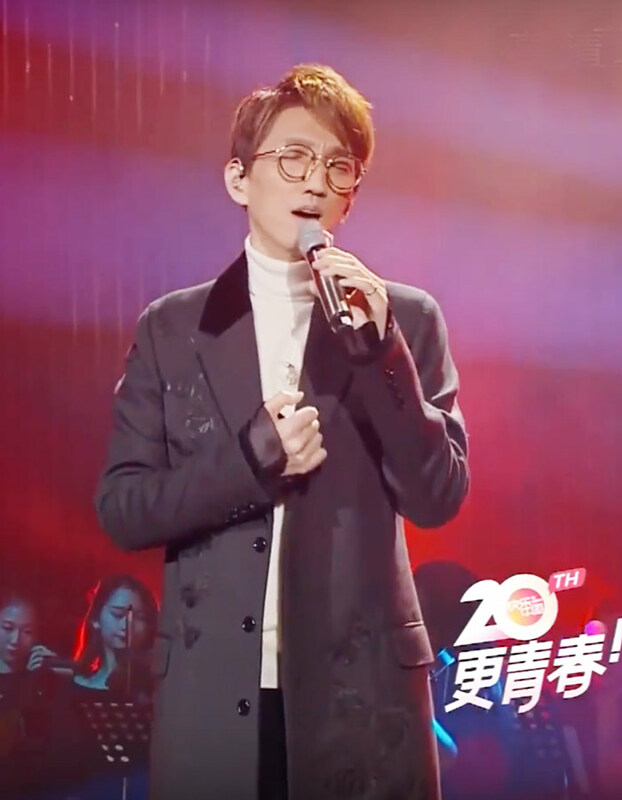 In the Brakout Round, Li Jian chose a golden classic hit from the 70s “Love is over”. 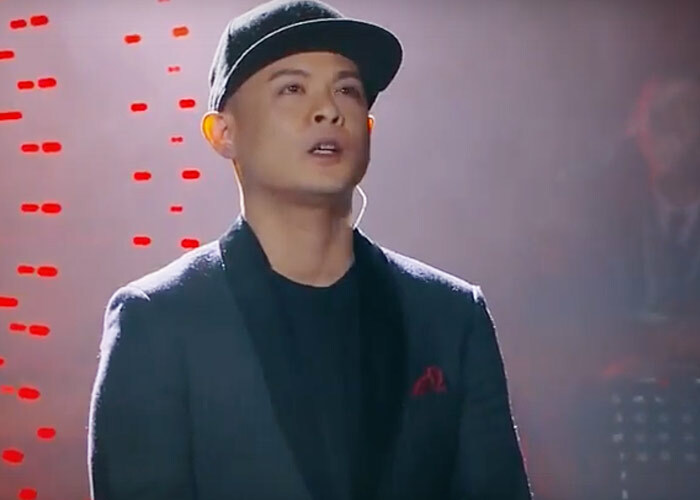 Dressed in a black suit, the suave Li Jian even penned some parts of the lyrics himself to cruise through to the finals. On the other hand, Terry who is known to “not play it safe” when it comes to song selections, chose “Temps de Catedrali (你在最近的天边)” a song from the famous musical Notre-Dame de Paris. Even though the lyrics are completely changed to Mandarin, Terry did a good job in the delivery. 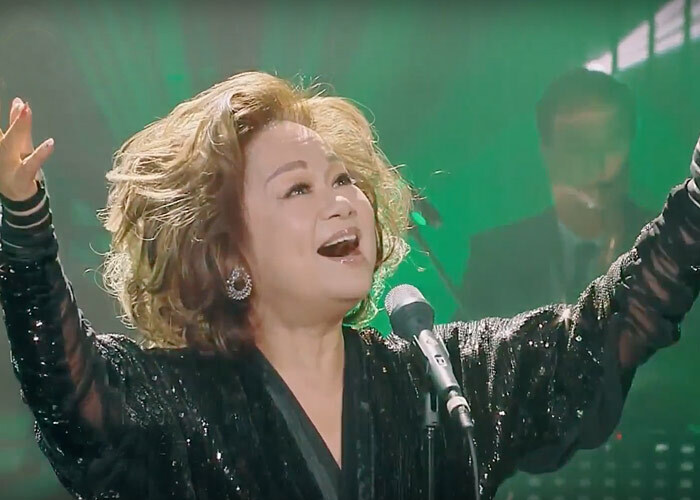 Teresa Carpio who is 61 this year, gave it her all with Adele’s “Rumour has it” and “Someone like you”. Dressed in a golden top, Teresa showed her tenacity and her never say die attitude as she danced her way into the finals. In a larger than life performance that was very entertaining to watch, Teresa really showed her mettle tonight and came in 2nd position overall. Other noteworthy performances include Zhang Jie’s hip hop and rap number “别来纠缠我” and “Bleed It Out” medley as well as Ray Tia’s powerful “开往春天的地铁” with her whistle voice segment. We would like to give a shoutout to Liang Bo. We really love his blend of music and his attitude towards it. Although we were disappointed that he didn’t make it into the finals with 日落大道, we look forward to the young singer’s works in the future. The singers that are through to the grand finals are Li Jian, Teresa, Terry Lin, Zhang Jie, Zhang Bicheng, Ria Tia and Julia Peng. 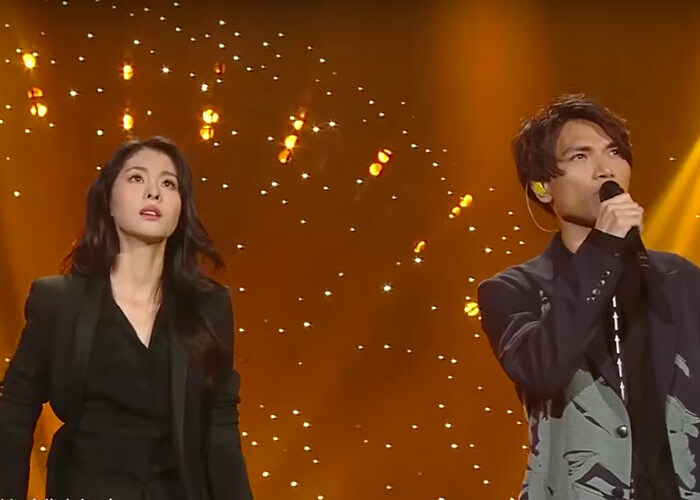 Following episode 9’s less than ideal results for Zhang Jie and Julia Peng, both singers will have to bring their best in the final stages of Singer 2017 in order to make the cut. Episode 10 is also the last round that a singer will be eliminated. The last 2 episodes of the season are “Revival Round” and “Grand Finals”. Terry Lin has been very liberal with his song selection in this season. From the very classic 卷珠帘 to the jazzy “Feeling Good”, Terry has been unpredictable in his selection so far. In this round, he goes back to basics, choosing a ballad from Wang Leehom “裂心”. Without being over the top and without challenging arrangement, Terry sang a simple, straightforward and touching rendition of the song. He did however, add a verse from “Heaven Knows” to give the song a different variation. 柿子 is a song that was released 20 years ago by Sandy Lam. The song is a message about global warming and environmental destruction. A song that meant a lot to Sandy, she gave the song an entirely new arrangement, showing the audience her versatility and range. Her attempt to break out from her being labelled as a “ballad diva” is definitely a huge success on Singer 2017. It was a master class performance that even fellow contestant Li Jian gave her full points for nailing such a difficult song. Even though Dimash took a lot of flame recently from netizens about his Mandarin diction, vocal range show-off and lack of emotions, the young and talented singer won’t let the feedback affect him. 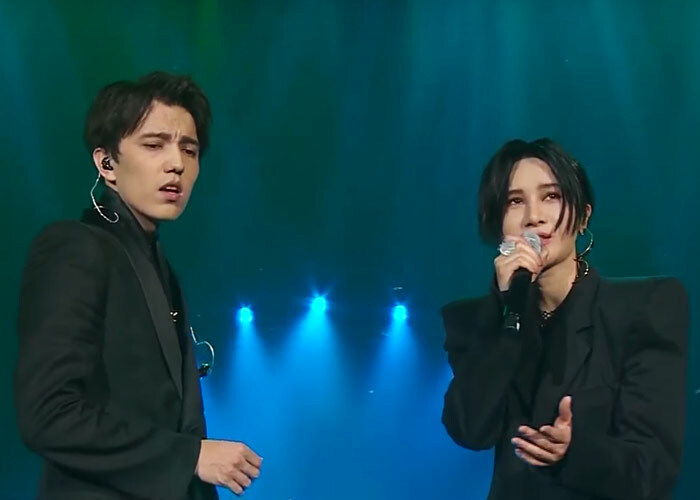 In the final elimination round, Dimash went with everything he’s got, vocal range, Mandarin lyrics and even whistle voice in an emotionally charged performance. Bravo Dimash! When Li Jian sings, he has a certain purpose and intent, making him seems very focus at his delivery. Even though his style is not flashy or outstanding, he makes a difficult song seems effortless, scaling from note to note with such poise and ease. The round he gave a very consistent performance once again and gave a very moving rendition of 红豆曲 even though he was down with a slight flu. Zhang Jie is in danger of being eliminated this round after coming in last the last episode. 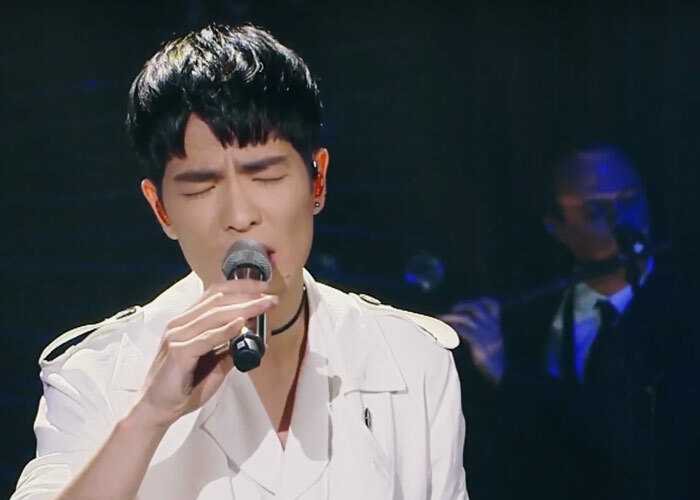 But not anymore after he delivered everything he’s got in Singer 2017 episode 10 with a jaw-dropping rendition of 自己. We felt that he has grown more confident in this competition and it has helped him become a better performer. In this round, he pushed his limits and showcased his amazing vocal range, one not known to many, and it was electrifying. Lion as a band is definitely getting better. This round, the band shows that they can be a formidable force when they get their act together. Lion got off to a slow start before really nailing it midway into the song. Overall, they did everything well. From vocals and instruments to overall arrangement and showmanship, Lion is currently in good form. Julia Peng’s performance was what listeners would expect from a vocal powerhouse like her. Even though she did an ok job, but when placed against the rest of the performances today, she did not stand out. Similarly to first performance in the last round, we felt that she sounded old school and was a little pretentious emotionally. In this episode, Taiwan’s vocal powerhouse Julia Peng joins Singer 2017 to vie for a spot in the final few rounds of the competition. 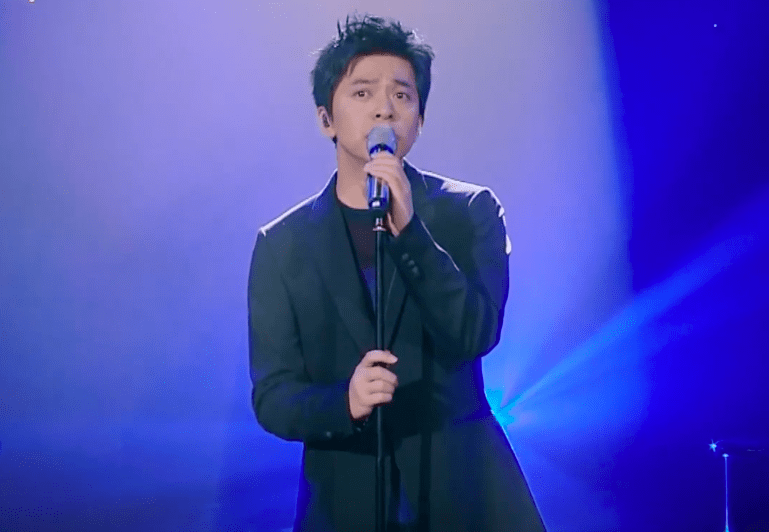 Rock singer and winner of “The Voice of China”, Liang Bo, also joins Julia in this episode as a challenger to compete for a spot. 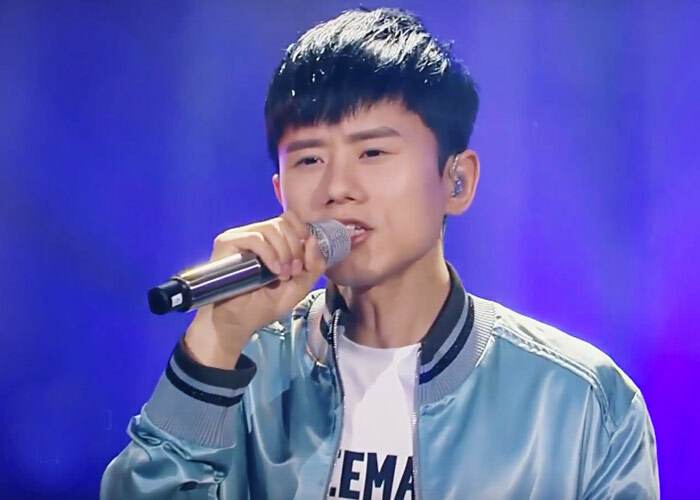 Liang Bo is the second winner from the talent show “The Voice of China”, the first being Zhang Bicheng who was eliminated in episode 8. Unfortunately for Liang Bo, he was cast the same fate and didn’t make the cut after ranking 6th in this round. 十点半的地铁 (The Train at 10.30am) reflects Li Jian’s life in the early years after graduating from school. Taking the morning train and being squeezed into a packed cabin, it is a simple song that tells a story about youth feeling lost and confused in a city and using the morning train to set the scene. Li Jian gave a very touching performance and we felt that the simplicity in the lyrics also resonated well with the audience. Li Jian’s calm and controlled rendition adds a sense of nostalgia to the mundane act of commuting on a train. 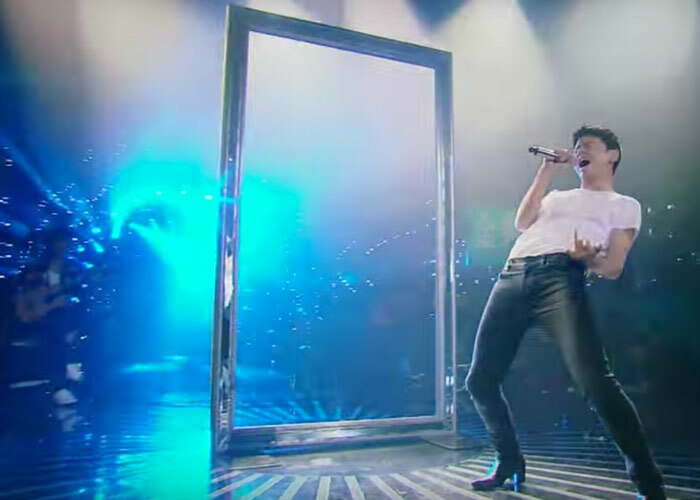 This round, Dimash takes on popular Celine Dion hit “All By Myself” with huge success. We loved that Dimash focuses on the emotional aspects of the song rather than going overboard with showcasing his vocal talents. Not that he didn’t flaunt it this round, but we felt that he treated it well. The young talent certainly gave us goose bumps and we were in awe at his vocal range at parts of the song. If only he had ended the song before doing a weird series of staccato notes near the end, that would have been perfect for us. Our favourite female singer for this season, Sandy Lam, takes on Faye Wong’s “多得他” in Cantonese as gave it a more powerful rendition. Her performance was so tight that we were simply kicking back our legs and enjoying her performance. Her beautiful vocal tone was so mesmerising that we were hooked from the first note to the last. Sandy’s performance was so classy, sophisticated but yet looked effortless. We are giving her a standing ovation! “Feeling Good” is a popular song covered by professional singers and amateurs, with Michael Buble’s version being the one most people are familiar with. Terry did a good job on the cover, giving it his twists and flavour. All we can say is that he did a better job singing the song than trying to work the stage with his showmanship. We felt that he was uncomfortable at times with the actions, and awkward when interacting with the musicians. His quirky get-up certainly wasn’t helping him. A nice stylish looking suit with pocket square would have been fine Terry. Zhang Jie is like a mini Li Jian in this episode. He was a little more composed, a little more mature and a little more story-telling in his voice. Mid-way through the song, Zhang Jie surprised us with a radio effect mic and sang a small interlude of another song in falsetto. It was a refreshing performance from Zhang Jie even though the audience didn’t think so and voted him last this round. Although Lion’s performance wasn’t outstanding like many other singers in this episode, we felt that it was one of the better ones from them. Jam and gang seems to have found their style and beat, giving their pop-rock outfit a differentiated sound. This round, the band is tighter, with every member contributing and adding to the song. Even Jam Hsiao seems to have toned down his usual showy antics and let the entire band breathe throughout the song. If anything at all, the competition has allowed Lion to discover their signature sound and will do them a lot of good in the long-term. 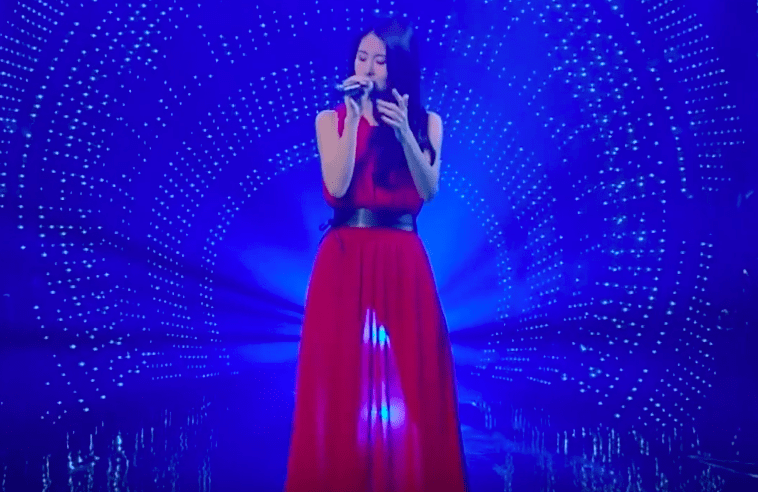 Singing a song from her idol, Sandy Lam, who is also competing in the same competition, Julia Peng’s performance did not do justice to the song and we felt that her interpretation of the song wasn’t good. She was draggy and sounded old school in this rendition. Even though we know that she is an amazing vocalist, her performance of 爱上一个不回家的人 lacked emotions and flair. Liang Bo seems to be having a monologue on stage, singing a song from his album. Don’t get us wrong, it wasn’t a bad thing, it just shows that the young singer has progressed and grown more aware of his personal style and what he can bring to the Asia entertainment scene since “The Voice of China” days. He represents the more progressive musical styles that is currently evolving in Asia. Singer 2017 eliminates one singer every episode since the start of the competition. Except episode 7 when the show filled up with new singers instead. Episode 8 gets the popular reality show back on track, picking one singer off with the lowest combined scores after 2 rounds. 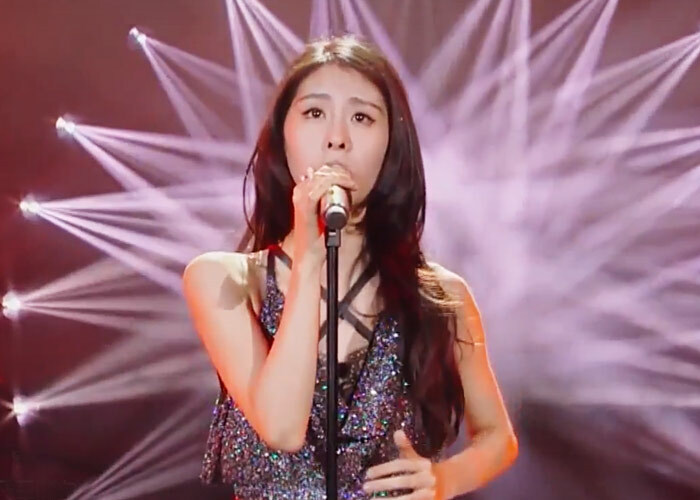 Unfortunately for new singer Zhang Bicheng, her Tango moves in this episode wasn’t enough to impress the audience to allow her a spot in the competition. Zhang Jie picked another female song for Singer 2017 episode 8. This time round it was Hebe Tian’s 你就不要想起我 he seeks to interpret for the audience. He gave the song his usual ballad-style treatment, cranking up the emotional meter on the last few verses with a flurry of high notes. We felt that his rendition was good but it failed to connect emotionally. But he certainly moved himself, holding back tears towards the end of the song. Singing a song is like telling a story. Some singers can do it so well that simply by listening to them, triggers memories and cause tears to well up. For Li Jian, this quiet force of emotion is quite formidable, especially when used in a song with equally good lyrics. The calm singer moved many in the audience and many was seen with tears streaming down their faces. As beautiful as she is, Zhang Bicheng come across as being aloof and distant. She has a solid voice and a captivating stage presence, but it’s a pity that she seems to be performing Eason Chan’s 红玫瑰 for herself only. Perhaps it’s her lack of eye contact or perhaps it’s her cold expressions, Zhang Bicheng lacks experience but she definitely has the potential to be in the top league of singers. In this round, don’t miss Bicheng and her nifty Tango moves. 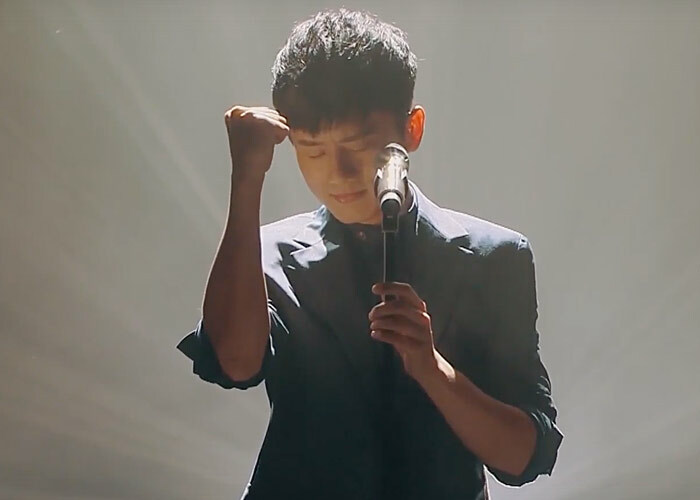 One of our favourite songs from Singapore singer-songwriter JJ Lin, Sandy Lam attempts to cover 崇拜 with a rock infused arrangement. Her angelic voice and good use of head voice and falsettos made the song grander than when sang by Fish Leong, the original singer of the song. Sandy seems to be getting very comfortable with the Singer 2017 stage and her performances is tighter than ever before. We think she will be the top 3 singers of this season. Jacky Cheung’s 三天两夜 is touted as one of the top 10 most difficult songs to sing from the ‘God of Singers’. After many rounds of searching for their style and lacklustre performances, Lion didn’t impress us this round either. Jam Hsiao on vocals sound draggy and lacks the punch needed to lift the song. It wasn’t bad, it’s just that we had a lot of expectations for them. With a strings intro and flutes embedded into the arrangement, Lion is drifting further from their rock roots–even though there was an impressive electric guitar rift near the end of the song–and becoming more a mixed pop band. Perhaps for the better. Dimash first heard Han Hong’s 天亮了 when he was only 10 years old. According to the show, it was the first Mandarin song the young talent heard. This is the second time he performed a Mandarin song–the first was 秋意浓. Although his diction was just as bad as the first, but most people have probably gotten used to it and just watch in marvel his epic vocal range. Our favourite part of the song was his ad lib section about three-quarter into the song. You guessed it, it was the part without any lyrics. Terry fused a classic Chinese song 卷珠帘 with Scarborough Fair for Singer 2017 episode 8. The challenge is to seamlessly blend both songs with different time signatures into a single complete song. We must say he did it very well, completely the feat without skipping a beat. After the ‘disappearance’ of Tan Jing from Season 5 of Singer 2017, we can imagine show producers scrambling to fill up the void left by her with new singers. We are not going to speculate what happened to Tan Jing (you can Google rumours surrounding her withdrawal) but rather focus on the on-going competition and singers who will be giving their best for the remaining of the season. The new singers added to Singer 2017 are Li Jian from Season 3 of I Am A Singer and Zhang Bicheng from The Voice of China fame. For the longest time, we were wondering why Dimash didn’t pick a Kazakhstan song with lyrics he is familiar with. Not that he wasn’t impressive with his French, Russian, Mandarin and English picks, it just wasn’t good diction. This round, he goes back to his roots and picked a Kazakhstan folk song to display the culture, music style and language. 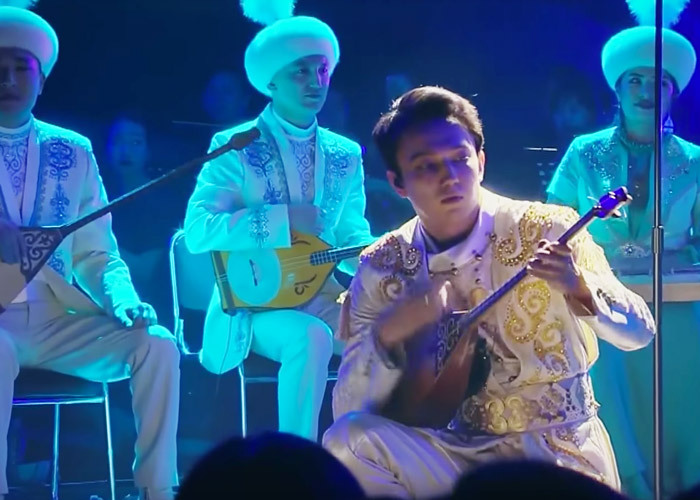 Dressed like a Kazakhstan prince and playing a traditional instrument, Dimash was finally able to connect emotionally with “Daididau” without simply displaying his vocal prowess. Beautifully done Dimash! It was a fantastically arranged song that fuses different traditional instruments to give Terry’s song a grander aura. Singing one of his own songs, 御龙铭千古 very comfortable with it and managed to give a steady and captivating performance. We continue to be disappointed with Jam and Lion this episode. Whether it is Jam on piano or the guitar, they don’t seem to have their act together. Singing MayDay’s 听不到, the arrangement was decent and will fit into any easy listening album or a road trip playlist on Spotify but it didn’t come across as particularly impressive. In Singer 2017 episode 7, the so-called rock band even added cajón to their repertoire of ‘talents’ to show off. It would be acceptable if they just call themselves a pop band instead of a rock band. After her surprising upbeat number 盛夏光年 in the last episode, Sandy really pushes the limit the round with 蓝莲花. Starting from a low emotional hum before stretching her vocals to a powerful climax, she showcases her jaw-dropping vocal range that is not known to even her most loyal fans. In this round, she not only gave a rousing performance, she also fuses pop, rock, R&B and many other musical styles to finally top the competition in this round. Zhang Jie’s interpretation of songs originally sang by female singers is certainly good and revives a lot of these once forgotten hits to become new karaoke favourites. 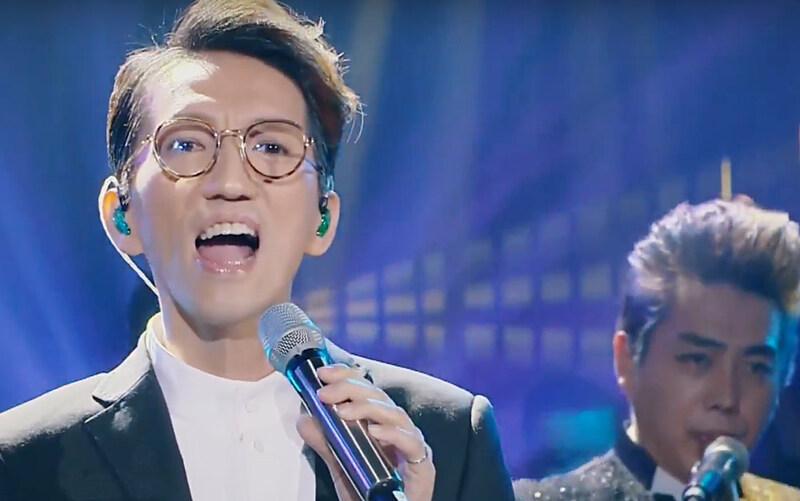 This episode, he continues his march to the finals of Singer 2017 with Valen Hsu’s 1996 Mandopop hit 突然想爱你. We were first introduced to the charismatic singer in Season 3 of I Am A Singer. Since then, he has moved many who were unfamiliar with the singer, including us, with his soothing voice and unhurried pace. His return to the competition surprises us as he is not a competitive belter-type contestant but it’s good to have a change of pace from all the insanely high and powerful vocal ranges. Zhang Bicheng is certainly moving up the entertainment ladder fast. From contestant on The Voice of China to competing on stage now with veterans on Singer 2017, the sultry vocalist is a breakout star due to her rich and captivating vocal tone. Singing one of Jacky Cheung’s newer but lesser known songs, Zhang Bicheng is confident and composed, a far cry from her Voice of China days. We feel that she gave a professional rendition but she was draggy at parts of the song. A lot of fans from Kazakhstan has been following the Singer 2017 series on GrateNews. Like them, we are also looking forward to the performances of Dimash and other singers on the fifth season of the reality show week after week. 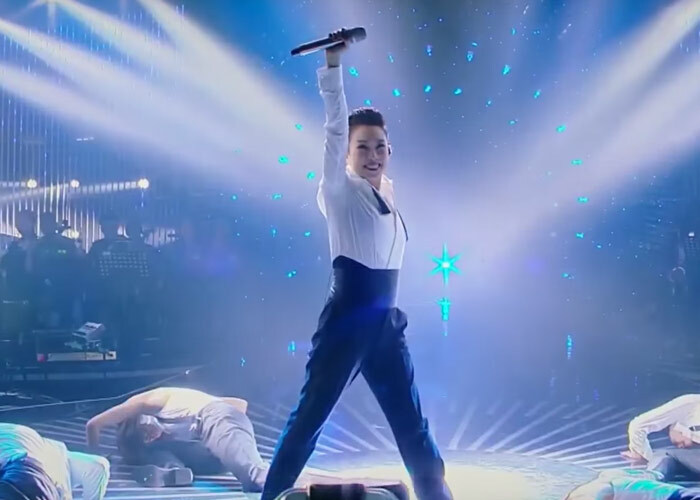 This week, Dimash takes on Italian song ‘Adagio’ with window-shattering vocal octaves while Sandy whips the crowd up into a frenzy with her punk rock look and rock number. Zhang Jie is getting better week after week. Like a good bottle of aged wine, Zhang Jie’s performance in recent rounds is full of depth and subtlety. In Singer 2017 episode 6, he cruised through the song 哥哥, showing his maturity in handling emotional songs and his good vocal control. Although his results wasn’t fantastic, the Zhang Jie in this season is definitely better from the one in Season 2. After a lacklustre return to the stage of Singer 2017 in the first round, Terry Lin takes on Sam Smith’s Writing’s On The Wall, the theme song for James Bond 007 – Spectre. One of our favourite songs from Sam Smith, we don’t have a good feeling about the performance even before Terry started. To be fair, Terry did a decent attempt on the song. Even though he wasn’t perfect on diction, he more than make it up with his beautiful vocal mix and falsettos. We respect Justin as a songwriter, but as a performer, he is quirky and on the border of being weird. He is full of expressions, not necessarily good ones, and has that nasal reverberation that bothers us quite a bit. But one thing’s for sure, he stays true to his style and doesn’t bother too much about what others think. Unfortunately for him, the audience don’t feel the same way as him and he is out of the competition after coming in last from the combined scores of the last 2 rounds. After performing in French, Russian, Mandarin and English, the competitive Dimash is taking on Enhlish version of the Italian song ‘Adagio’ for Singer 2017 episode 6. Not only that, he also played the piano for the first part of the famous song co-written and sung by Lara Fabian. If this is a competition about who has the biggest vocal range, Dimash wins hands down. This man is just impossible! We are not experts here but he probably scaled many octaves (we are counting 4) during his showcase. However, his diction is off and his rendition feels detached emotionally unlike Lara Fabian’s. But it is still a must watch performance just to listen to his strong and insanely high falsettos. We had an interesting conversation about Dimash with a friend yesterday on how he is getting ‘lost’ in search for his personal style and his weird song choices. This performance is probably going to be a stop-gap performance for him. Many have forgotten that Sandy Lam started her career with a lot of dance hits and upbeat numbers. Although she is known better for her emotional ballads, Sandy still has her mojo for upbeat songs. Even for a melody as repetitive as 盛夏光年, Sandy never disappoints. Showing her good rhythmic sense and vocal control, Sandy who is consistently in the top 3 every week came in third this round. We have been disappointed with Lion since the start of the competition. Or more correctly, with Jam Hsiao. To us, rock is not just about have a few rifts on electric guitar, there is a certain attitude, a certain motivation. Lion led by Jam Hsiao lacks that natural spirit that embodies a rock band and we are not even going to try to pigeon hole the band into pop-rock or heartland rock. Jam on vocals for the last few episodes exposed his vocal flaws, musicality and the lack of emotional delivery. We don’t connect with his performances and will struggle to stay on the competition is the band don’t find their ‘magic’ fast. Following the elimination of Teresa in episode 4 of Singer 2017 (previously called I Am A Singer), episode 5 sees the addition of 2 new singers, Taiwanese Terry Lin (林志炫) and Hong Kong’s singer-songwriter Justin (侧田). Both heavyweight singers will add a lot of heat to the already packed with belters competition. Terry Lin was previously the runner-up in Season 1 of I Am A Singer. Like Zhang Jie, he is the second singer who had sang in other seasons of the popular TV reality show. When you think you know Dimash, he surprises you with a Mandarin song like 秋意浓 on episode 4. This episode, he continues to challenge himself and delight his legion of fans with Bruno Mars’s upbeat number Uptown Funk. It was fun to see him funk it up on stage, prancing, jumping and dancing on stage without overworking his octaves but it also exposes his weaknesses. The song doesn’t sit well with him and he came in 5th, his lowest score so far. But we applaud his willingness to go out of his comfort zone week after week. Unable to pick his own songs to perform this episode doesn’t seems to affect Zhao Lei. In his usual nonchalant style, he completed the song 月亮粑粑 in a relax and heartwarming manner. With 2 new belters joining the competition, we suspect that he already knew that his days on the competition are numbered. He came in last in this episode and was eliminated. Tuning down the volume and drama down a notch this episode, Zhang Jie’s rendition of 默 is full of emotional and subtlety. We love this version of the song that was originally from Na Ying. In this round Zhang Jie more than made up for the bad ‘Better Man’ cover last episode. This is one of his best performances we have heard from the powerful singer. Ranking well in the competition so far, Sandy Lam picked Stefanie Sun’s 克卜勒 for her Singer 2017 episode 5 performance. Dressed in a sleeveless white dress, her gave an amazing performance in her angelic voice. Seemingly effortless, Sandy was pitch perfect from start to end, pulling us slowly into her song and her story. The experienced singer is definitely more than meets the eye. Competitors that think she looks meek and weak and only sings ballads need to watch out. We didn’t have a good feeling even before the start of the performance when we found out that Lion will be performing Jon Bon Jovi’s classic hit ‘It’s My Life’. And we were right. Jam and gang failed to turn up the heat and they ended up sounding like Pinoy live band performing at a night club. Jam’s vocals feels strained and the emotions forced. If they continue like this, they may really end up in a club. Straight after Lion’s night club performance, Tan Jing brings us to a Jazz bar with her flat top hat and tuxedo. Arranged with musical influences from India, the Middle East and Chinese Folk, Tan Jing’s 赛里木的月光 is a rhapsody in music and a trip around the world in four minutes. For us, it feels like she is trying to show off her capabilities too much and jamming in to many elements into her performance. If you feel different about it, leave us a comment below and tell us why. Terry Lin on the stage of Singer 2017 again feels like the programme is having trouble looking for singers to join the competition. However, we still welcome the singer who is known for his high vocal range and unusual style. In this round, the confident singer risk being eliminated by singing an entirely new song to the audience. He came in 4th this round, cementing his place in the next round. We expect some sparks to fly between Dimash and the runner-up of Season 1 who had performed a song from Vitas (Opera) as well. Justin Lo’s 命硬 is a karaoke favourite among Asia countries so many in the audience will be familiar with the singer and his songs. Justin was full of energy (and expressions) during his performance, thoroughly enjoying his time on stage. The singer-songwriter who won many accolades during his career also sealed his place in the competition by coming in jointly at 4th place with Terry Lin. Singer 2017 (previously called I Am A Singer) continues to surprise us with many unexpected twists and turns. In episode 4 of Singer 2017, Dimash picks up Mandarin and awed the audience with his unique interpretation of the song, Teresa was unexpectedly eliminated based on combined scores from 2 rounds and eliminated singer Ray Tia gave one of her best performance of the entire competition. Read on to see if you agree with our take and leave a comment to let us know how you feel about their performances on episode 4. There is no doubt about Tan Jing’s amazing vocal control and perfect pitch. In this round, she picked a Jacky Cheung’s 定风波, a slightly less artistic song than previous rounds to win the crowd over. We like it that she did not just simply show off her vocals in this episode, even though midway through the song, she can’t help it but belt out an entire verse. The audience seems to disagree and voted her to 6th position. You should watch Ray Tia perform ‘Golden’ right after Tan Jing. It was her best performance on the show and all we can say that it was golden. It’s a pity she was booted out of the competition. Seemingly unaffected by the heat of the competition and cruise through another of his own hits 理想. Being able to choose your own songs for a second time is unusual because you can only opt to sing one of your songs once in the competition. Regardless, Zhao Lei gave a heartfelt performance true to his folk-rock style. Reminded by her mother who passed away, Teresa broke down just during her rehearsals, sobbing uncontrollably before gaining composure for the song. According to Teresa, that was the first time she cried for her mom. Fighting back tears for her performance, it was a case of ‘the show must go on’ for Teresa and she touched many singers and members of the audience. Covered countless times by singers from Asia, Robbie Williams’ international hit Better Man is best left to the man himself. It was a good effort by Zhang Jie even though at times he seems to be karaoke-ing the song. His pronunciation of the English song was acceptable but his rendition is lacking emotional depth. He does seems to be enjoying his time on stage and was relax throughout the performance. Biggest surprise tonight was Dimash’s song choice. 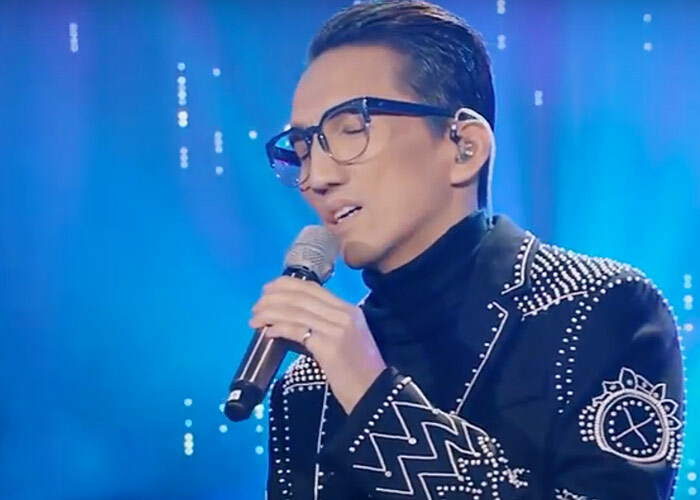 He selected Jacky Cheung’s Mandarin number 秋意浓 for his 4th episode challenge, the second Jacky Cheung song of the night. Having practised the song and learn the lyrics for only a week, his diction is certainly impressive. He reminded us a little of The One from Korea in season 3 who also gave a fantastic cover of the song. 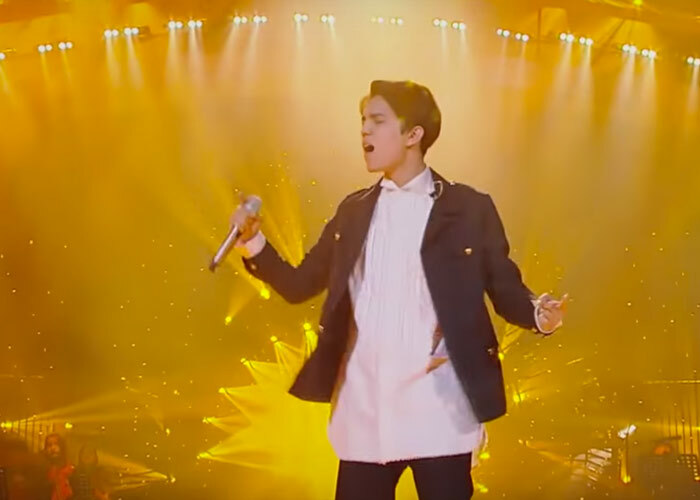 Dimash elevated 秋意浓 further by placing his signature octave scaling vocal notes to the rendition. Sandy Lam has a voice that can turn any song into her own. Singing A-Mei’s 我最亲爱的, her phrasing and pauses was exquisite, as if she was speaking to the audience. It was another emotional performance from Sandy and it felt like she was singing this song for a special someone in her life (or out of her life now). Lions in tuxedos? Lion tries to up their style ante with everyone dress to the nines. However, we were least impress with Jam and Lion band in this episode as they failed to connect with us. It felt like they were more concern with showcasing their capabilities and skills and less with emoting the song. How they ended up at the top of the pack in this round baffles us.